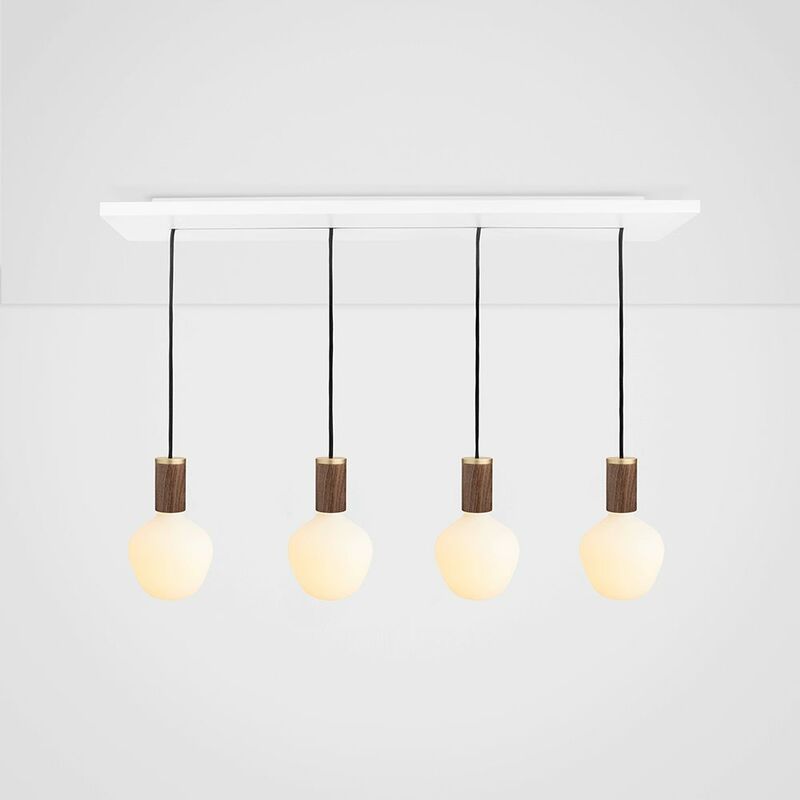 The Enno Walnut Ceiling Light brings geometric harmony to any interior. With its hardwood finish and minimal design, it lends a sophisticated, modern feel to its setting. Although best hung in a uniform row, the pendant lengths can be adjusted to accommodate a variety of arrangements. Emits a soft white light that breaks up bold colours and backgrounds.